Not so long ago, oracles tended to be only useful to people in a specific geographic region. Aside from being tied to a specific cave, or only interpreted by a group of priests/priestesses, most oracles were not available for common people and mundane needs. Toady, there are oracle that you make use of right in your own home, as well as others that you can enjoy while on vacation to a foreign country. Even though the I-Ching changed across several centuries, it appears to date back to 2800 BC. Interestingly enough, the original 8 trigrams for I-Ching also form a vital foundation for Feng Shui. While the I-Ching was primarily used by the elites, its preservation fell into the hands of peasants during the Tang Dynasty, when many ancient texts were destroyed. Today, I-Ching books and devices are readily available throughout the world. I-Ching hexagrams can be read using anything from Yarrow sticks to coins, marbles, beads, and dice. Typically, you will need to interpret patterns of broken vs. solid lines in order to obtain an answer to your question. Individuals that are interested in I-Ching may also want to learn more about Flying Star Feng Shui. Aside from a number of fascinating compatibilities with Western Astrology, Feng Shui offers a number of solutions for decluttering as a means to improve your lot in life. 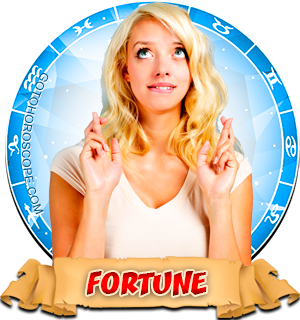 Regardless of whether you are looking to improve a romantic relationship, find a job, or have more friends, working with the I-Ching oracle in combination with Feng Shui can help you unleash any number of hidden talents safely and effectively. The Norse Runes, or Elder Futhark are a series of 24 letters or symbols inscribed on wood, stone, metal, or other materials. They were created from German dialects between 200 and 800 AD. While they were fairly popular during these times, the ability to interpret them was lost until the mid 1800's, when a Sophus Bugge, a Norwegian scholar, found a way to decipher them. As with I-Ching, interpreting Norse Runes depends on knowing what each symbol means. Depending on the rune in question, these meanings can be changed based on whether they are upside or right side up in a spread. Since other runes look the same in both orientations, their meaning remains unchanged. Many people choose rune sets based on the material and its connection to specific areas of interest. For example, a person might consult runes inscribed on metal for matters related to money. Today, there are many all purpose rune sets made from plastic, resin, or wood that can be used for just about any question. If you are interested in working with runes, you can easily create your own, or purchase them from a metaphysical store. The "copper oracle" is found in Orissa India. It is made up of 54 copper plates bound together. There are also similar oracles made from other metals in different regions of India. Individuals that wish to consult the copper oracle must go to the town of Kakatpu and write their question on paper. A seer will then look at the plates and interpret writings which appear, and then disappear once the book is closed again. Even though you will need to travel to India to make use of this oracle, it is open to everyone during routine business days. If you happen to be interested in going on vacation to India, need to travel there as part of your job, or want to study there as a foreign exchange student, taking time to visit this oracle is sure to be a unique and enjoyable lifetime experience. Chances are, you will be amazed at the opportunity to visit the kind of oracle that was only available to the richest and most powerful in various societies in ancient times. There is no question that just about everything we anguish over in life has been experienced by some other person back in time. Then, as now, we still have a need to try and figure out what will happen before committing to a specific course of action. Fortunately, the wonders of modern travel, plus a wide range of educational tools make a number of oracle devices available for you use. whether you want to perform readings in your own home, or travel to consult a professional oracle, both options are well within your reach. Fortune Teller, Oracles, Sorcerers, and everything you need to know about them, their predictions and how to recognize the real prophet among impostors. Will i ever own my own home. Will the land deal go through soon? I will attain the goal I have set for 2015? Would me and my family emigrant to uk? Am I ever going to find what I'm always searching fir? I want to open a company with my friend, is it time now? Would we be able to buy a house in Belgium this year?